Posted on May 23, 2014 by Financial Underdog	in personal finance, silly. It’s been a while since we’ve talked. Five years ago I’ve walked out on you. Five years ago I’ve decided to end it with you. And these five awesome years were filled with joy and happiness. In all honesty, I don’t miss you one bit. We’ve met when I started going to college. A sweetheart counselor thought she’s doing me a favor by introducing me to you. See, I was new to this country, and didn’t know anybody, so it felt nice to have somebody to rely on. Too bad I’ve never finished college and had to go back to work, but you’ve stuck with me even after I dropped out. My life felt easier when you were right next to me. You took me places, you bought me stuff. I remember going on a trip to Europe with you, and you made it extra sweet for me. You paid for hotel, my meals, and even an awesome camera I just had to have before heading there. I still have pictures, dear Debt. I remember you buying me a new car. You felt I deserve something better to drive because my old car was not as shiny as new ones, and didn’t have fancy options. At first, I resisted but you’ve talked me into it by saying how hard I work and I deserve to enjoy finer things in life. So, you bought me a new set of wheels, and after parking my old car in a garage (hurt feelings!) I started driving in style, just like all of my friends. What started as a fun flirt on a side soon turned into a nightmare of a relationship. Before I knew it, you basically moved in with me. Good memories of trips together were long gone, but you were right next to me every day. Every night you kept me awake as I crunched the numbers in my head trying to figure out how I can make it work. You forced me to work on weekends to bring more money home to pay for you. All of my money was going towards you, but you kept demanding more and more. Your collecting friends started calling me at night asking about money. You made my food taste bland and every day seemed joyless because you sucked the life out of me. You have no idea how bad you make people feel. Heck, some people commit suicide because you got a hold of them. This is when I said I’ve had enough. Breaking up with you was hard but truly worth it, dear Debt. I’ve kicked you out of my house, sold your presents, and got rid of your shiny new car. Took me months to clean up your mess! But my old car was happy to see me, and in all honesty I don’t miss any of your presents. I sleep well at night, and my new friends Budget, Savings, and Investing take good care of me. We spend a lot of time together, and I haven’t thought of you for a while now. Because of them, things are looking up for me! All because I’ve made a decision to end it with you. 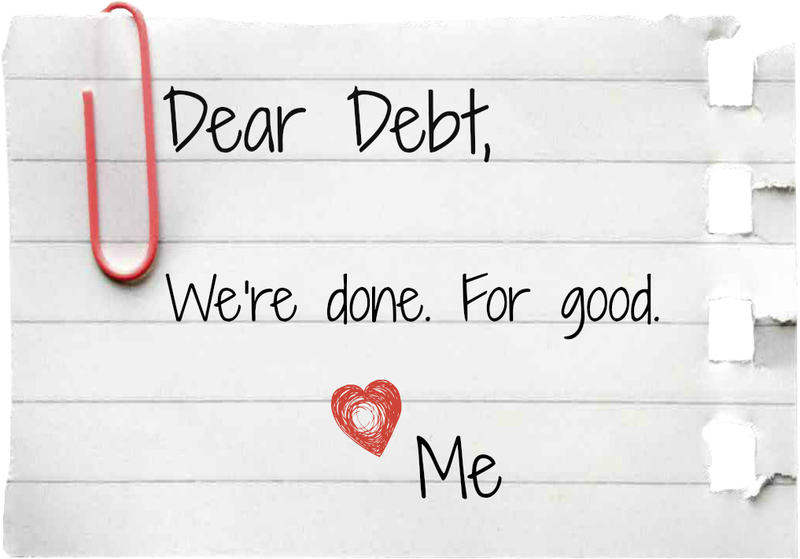 I’m glad you’re gone, dear Debt. Don’t ever come back. Forget my number, and forget my house. You’re dead to me. Posted on May 20, 2014 by Financial Underdog	in education, investing. 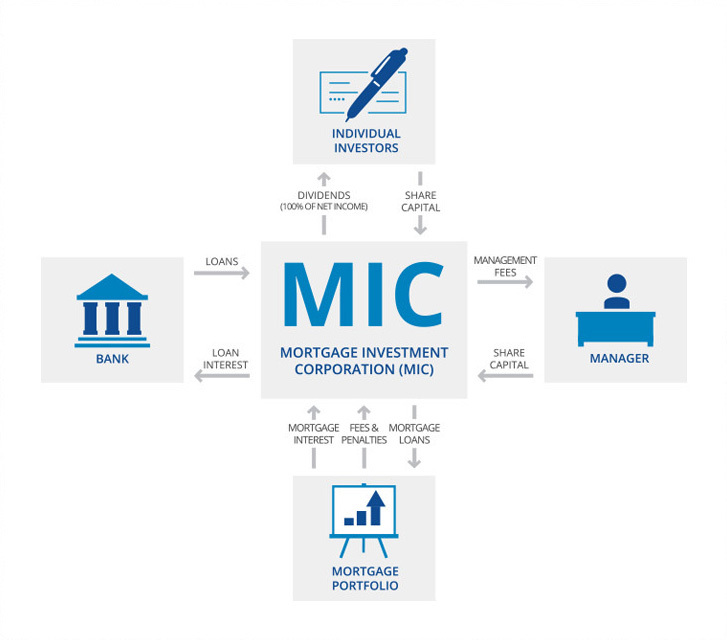 What is mortgage investment corporation (MIC)? Lately, mortgage investment corporations have been getting an increasing amount of media attention. Yet if you’re interested in investing in general, there’s very little information out there on what mortgage investment corporation (MIC) is and how one can benefit from them. I’ll try to explain it to the best of my abilities and even share my personal experience with one. MICs are investment vehicles that focus primarily on mortgages. Thousands of investors pool their money together. Then a newly formed MIC starts lending out the funds to qualified borrowers. MICs are professionally managed by a management team that is compensated with management fees and incentified with a partial cut into profits. In reality, mortgage investment corporations are just like banks. Banks borrow money from depositors and lend money out to borrowers. The difference between the amounts of money they make from lending and interest they pay to depositors is their profit. Somewhat similarly, mortgage investment corporations raise their capital from investors, lend the money out, and funnel the profits back to investors. 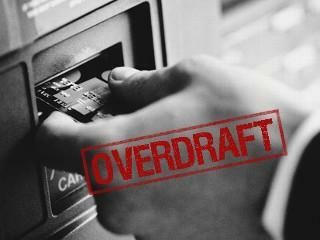 Some of them choose to also borrow money from banks at low interest rates – but not all of them. There are many MICs currently on the market, some private and some public. The amount of money flowing into them from investors attracted by very reasonable yield is always exceeding previous years numbers. Largest players in this market include Firm Capital, MCAN Mortgage Corp., Timbercreek Senior MIC and Trez Capital MIC. While the amount of capital under management and lending guidelines vary from company to company, the general business model behind generating income is very similar between them. I’ve stumbled into MICs almost by accident. At the moment, I wanted to park some of our money in a investment with good returns, but at the same time somewhat liquid – meaning we’d be able to get the money out even if it meant paying a penalty. High interest saving accounts offered by major banks do not offer meaningful returns these days – you’ll be lucky to get anything over 2%. On the other hand, putting money into an index or mutual fund (even with stable history of returns) didn’t seem appropriate for this money. Hey, I like mutual and index funds just like any other guy, but we all know they can go up and down rather wildly. Through our financial advisor, we’ve found Crossroads DMD – a Calgary based mortgage investment corporation. They’ve been in business for a number of years, and pride themselves on delivering outstanding returns to their investors while operating a portfolio of many millions under management. This includes first and second mortgages, bridge financing, and construction loans. Unlike conventional mortgages, these types of mortgages come with higher interest rates. While some people might say it’s because the risk is greater (and honestly, I tend to agree with them to some degree), one must understand this area of financing is very under-served and thus the amount of capital available is limited. Big banks that come with big capital prefer to deal with conventional mortgages, so smaller companies like Crossroads DMD are able to capitalize on small and medium-sized loans in this specialty market and command higher interest rates because of it. When they lend out investors money, borrowers put their properties on the line. 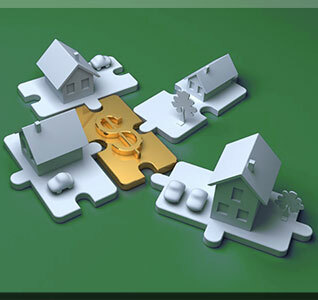 This means these mortgages are secured by real hard assets thus minimizing the risk to investors. They won’t lend out more than 85% of the asset value – which means even if the borrower goes belly up, the investment corporation will be able to recover the funds. Over the last several years, Crossroads DMD delivered on average over 10% to their investors in form of dividends. Since inception, the average rate of return is 10.6% per annum. This particular investment also features hurdle rate – a specific target for return on investment that must be reached before the profits are distributed to shareholders. Investors get paid first! Investors also get a 10% share of the profits above the hurdle rate thus benefiting from great performance of the management team. What a great incentive for the management to deliver good returns. While the investment is liquid and money can be returned to you upon request, an early exit fee (sometimes called “retraction fee”) will apply if money is withdrawn before 3 year mark. 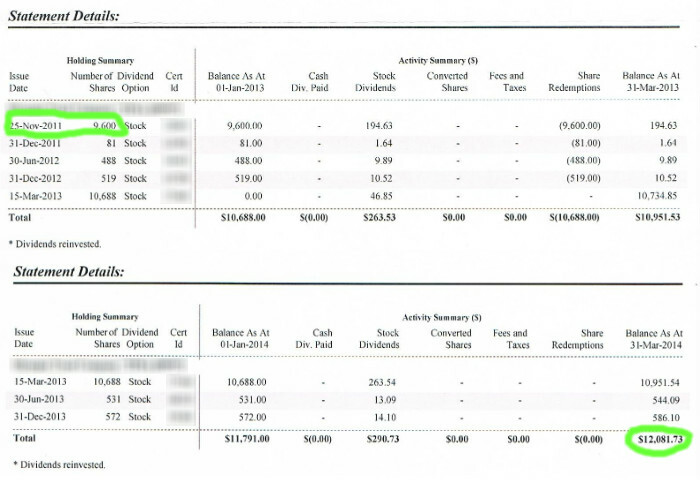 Amount invested (Nov. 17, 2011): $19,200 split between two TFSA accounts. Personally, I’m quite happy with this investment. While some index funds showed outstanding gains over the same period of time, I feel like this is a more stable investment for me. The returns are stable even through tough times! The management team does a great job taking care of investors’ money, and the dividends keep dripping steadily into account. Also, while I might have to pay an exit fee, I have the access to these funds at any time. All in all, good place to park the money for 3 to 5 years with fairly predictable outcome. Let’s be honest, the great market crash of 2007 is still not that far behind us. Lots and lots of real estate investments went belly up or taken a serious hit, so some people might not be comfortable with the idea of investing into a mortgage company. I know my first reaction was like that! But after reviewing company’s strict lending rules and their historical returns on investors’ money, it became clear to me that the management in charge of investors’ money is absolutely top notch. Notice how returns have not changed much during our last real estate crash? Yes, the returns went down by 0.4% but never dipped below their hurdle rate of 10 percent. This means their lending practices are very conservative, and their performance doesn’t correlate with real estate market performance in general. But I’m not going to sit here and tell you this investment is completely safe. The risk is always there, and you have to be comfortable with risk. This is not a magic investment that combines higher than average returns and low risk! Mortgage investment corporations can and do go out of business, so approach this type of investing with caution. Do you homework, read the memorandums, and do research on past performance and current management team. Check out this awesome checklist for picking MIC to see what you should be paying attention to while considering your options. – You’re looking for an “exciting” investment. Putting your money into a mortgage investment corporation is not very exciting. There are no stratospheric returns to brag about. Mortgage investment corporations are not widely mentioned on the news like latest Facebook IPO. You simply put your money in, and it starts dripping dividends into your account in a form of cash distribution or reinvestments. You won’t hear from them unless you receive a statement with your earnings. And if you’re trying to impress your friends with this investment at the next cocktail party, most likely you will put them to sleep explaining what they do. Some investment can be exciting. For example, one of our investments in solar energy is truly exciting to me because of the difference it will make in Ontario. Green! Solar! Energy! Sounds pretty cool, eh? Mortgage investment corporation on the other hand is a very predictable and boring investment that simply drips dividends into your account. Yawn. Posted on May 14, 2014 by Financial Underdog	in family, silly. Posted on May 12, 2014 by Financial Underdog	in investing, personal finance. I’m a big proponent of investing money. While a lot of personal finance books and blogs usually focus mainly on cutting down your expenses and living within your means, I don’t think anybody ever got to financial independence solely by clipping coupons. No, I’m not saying you should not save money. Saving money is great, but I think it’s just a part of the puzzle. If we ever want to reach financial independence, we need to wisely invest our money so it multiplies many times over. This is why I’ve always thought that part of our income should go towards investing. This is way we’re putting down $10,000 (holy crap, that’s a lot of money!) as an investment. The documents have been signed and mailed, cheque cleared, and soon we’ll receive share certificates along with our first monthly distribution. My investment of choice is Solar Income Fund. Solar Income Fund (or SIF) plans on acquiring/developing and operating a number of solar energy farms, mostly in Ontario. Some solar farms will be brand new, some will be existing operations. Just like income-producing rental homes, once built solar farms can be bought and sold by companies involved in investing in solar energy. In case you’ve been living under a rock, solar farms are awesome and environmentally friendly way of producing electricity. An array of solar panels is installed on rooftops, farmland, or just open space to convert solar energy into electricity. Electricity then gets transferred into provincial electricity network and the owner of the farm gets paid for the amount of electricity produced. Solar panels don’t need to be maintained and are very self sufficient. They’re even insured against catastrophic events which would stop them from producing electricity and thus income. The Solar Income Fund management team will select solar farms based on their viability, location, power-purchase agreements in place, and long term sustainability. What makes investing in solar energy in Ontario appealing is the fact that Ontario government guarantees their feed-in rates for 20 years. This means once the purchase rate for a solar farm has been established and the system has been hooked into the system, the price Ontario government will pay for the electricity produced is guaranteed for two decades. Power purchase agreements (PPAs) remove a lot of risk associated with investing in solar energy simply because it makes the investment very predictable. Why would Ontario government do this? This was part of Green Energy Act that was passed in 2009. Basically, Ontario plans to get away from energy produced by coal to solar energy because solar energy is much cleaner and efficient. They already shut down 19 coal units and remaining coal plants will be shut down by the end of 2014. The energy they have been producing will have to be replaced by solar energy farms. This is where third-party investors such as Solar Income Fund come in and invest their money into solar energy installations and start producing electricity. – The investment pays 9% annual return on investment paid out monthly via cheque or direct deposit. This is what’s called “hurdle rate” – until the company pays this out, the management of the company doesn’t get to enjoy the profits. In other words, it is in management team best interests to exceed the 9% rate of return on investment. – Any income in excess of 9% is split between the investors and the management team with investors getting 60% of the extra income (while management gets 40%). The excess income is distributed annually to investors. – This is not a liquid investment that you can buy and sell any time you want. Unlike public company stock that can be bought and sold on the open market, this is a locked investment. Once the capital is raised, the fund is closed for further investments and money is put towards purchasing of solar farms. The management plans to sell the fund to an institutional investor (bank, investment company, pension fund, or anyone else looking for a stable income producing investment), and return the capital to investors with an upside profit. – Income produced with this investment is very tax-efficient. Capital gains are another story though. – Ability to produce consistent income. This was my first concern about this investment. Nine percent return seemed high comparing to other dividend paying companies, right? But after looking at some numbers, nine percent looked very attainable. Solar power installations are money making machines! Once they’re built, they don’t require any expensive maintenance. 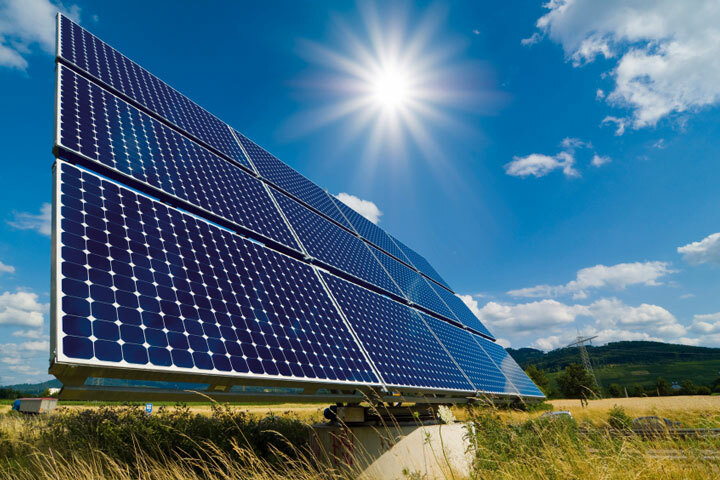 Solar panel manufacturers guarantee their performance. 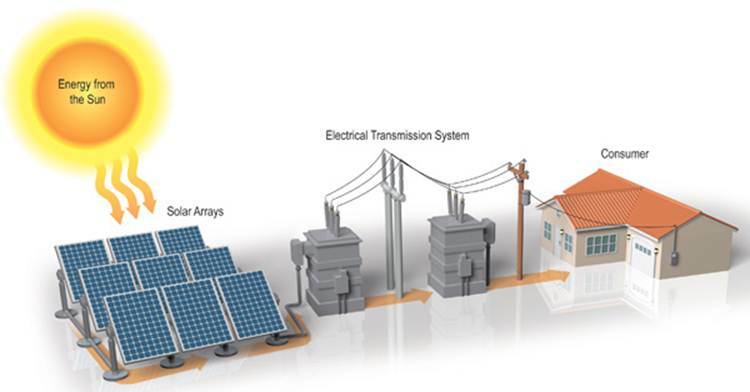 The amount of money solar farm can produce can be predicted in advance given location and technical data. Once the solar farm has been purchased or built, the money just keeps flowing in. Imagine being an apartment building landlord with extremely predictable tenants. Also, imagine that the government of Ontario guarantees that rent checks will keep getting mailed to you. All of a sudden, the risky business of being a landlord becomes very predictable and profitable. – Flavor of the month investment? As soon as I heard “solar energy”, I thought I’m about to hear a lecture on how green this investment is and how awesome it is for the environment. Solar energy has been around for ages by now, and always been a bit of hype. But solar energy in Ontario is there to stay. Ontario government guarantees their solar energy rates for 20 years, so the income that can be produced with solar energy isn’t going anywhere any time soon. Yes, it is a green investment, and will make a huge difference on Ontario’s environmental footprint. I’m super excited to be investing in solar energy because it’s green and pollution-free. But it will also produce income and hefty return for investors in the mean time. Since 2003, Ontario reduced their coal-fired power use by 90%. By the end of this year, they plan to shut down remaining power plants, and make up for the loss in their energy output with solar farms. Almost 90% of solar farms installed in Canada are located in Ontario. Given all of this, investing in solar energy doesn’t sound like flavor of the month, more like a fundamental change in energy business in Ontario (with rest of Canada to follow, I hope). You can have a great business model and awesome prospects for profit, but an inexperienced team can ruin any business and you’ll kiss your money goodbye. After watching enough Dragons’ Den episodes, the role of the management team seems like a paramount factor in business success. This is why you should only invest in companies that have excellent management teams with lots of experience. 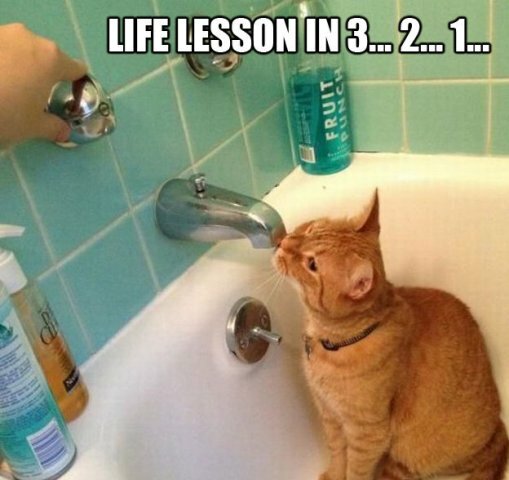 It just so happens that these cats have plenty of it. This is not the first solar energy fund they’re starting in Ontario. Including this one, they’ve started five solar energy funds; some of them already exited (have been purchased by an outside investor) with hefty returns touching on 18-19% (not too shabby!). While past performance doesn’t guarantee future results, this still instills confidence in their management team for me. I think my money is in good hands! Now we’re just looking forward to receiving monthly checks in the mail that will put to use by investing it further into something else. When the fund exits and gets sold to an institutional investor, there should also be an upside return, which will come back to investors along with principal. It might take a while, but it sounds like the money will be hard at work all this time. Posted on April 14, 2014 by Financial Underdog	in personal finance, silly. What if I said there is a risk-free investment with 13,940% profit over time? Now, at this point you would probably laugh at my face. First of all, the return figure is way too high and comes close to that of Apple. Second, there is no such thing as risk-free investment besides GIC’s and money market accounts (and they return around 2% these days – barely keeping up with inflation). But my investment does exist. And the returns are real. And they are indeed risk-free! And I’m not even Steve Jobs. – I’ve always had short hair, at least since high school. Longer hair doesn’t look good on me. So, at some point I just started getting my head shaved. Every two weeks, I’d stop by a barber to make sure it doesn’t get out of hand – but then an idea of doing it myself and getting an electric razor popped into my mind. – My initial investment on it was $20. You can get it cheaper, but I went with quality in mind. And the quality paid off – the thing never let me down. – I used to visit a barber to get my hair trimmed every two weeks, or 26 times a year. Each barber visit costs roughly $12. Of course, I’m not trying to say that buying an electric hair trimmer is a real risk-free investment. The whole thing is meant as a joke, relax. It’s not really an investment, it’s just a razor that happens to save me money because I’m not very touchy about my looks and it makes my life easier. And I’m not trying to say that everybody should start shaving their heads to save money! I sure would not like if my wife started shaving her head – even if it made her look like Sinéad O’Connor (not that she would ever willingly do that no matter how much money it saves). 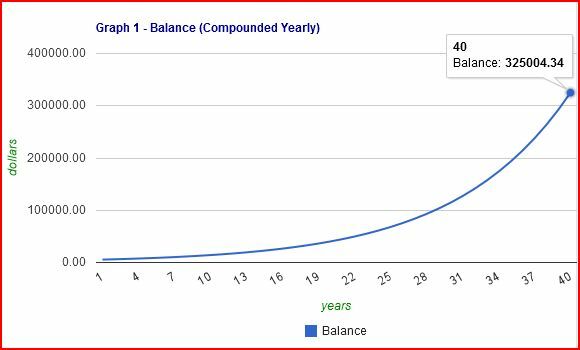 I think my main point is that if you are struggling with money or have goals of reaching financial freedom one day, you have to start thinking with long term in mind. I didn’t have a good start when it comes to finances, but I’m still trying to reach my goals by changing my financial habits. – Does getting your daily morning coffee on the way to work benefit you financially? – What would going back to school and getting an advanced degree mean to your income and how it would stack up against the short term expense of school fees? 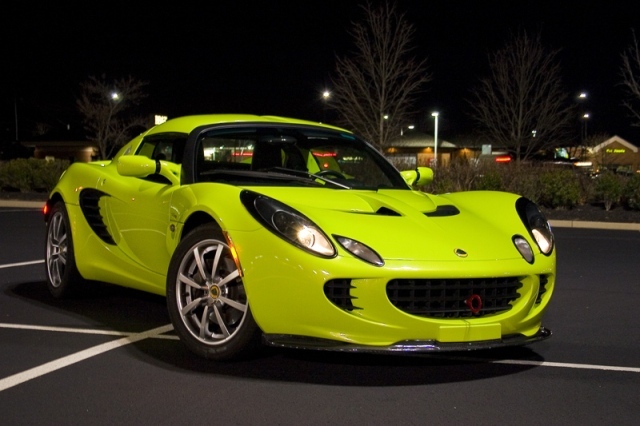 – Is getting a brand new car a sound financial decision and can you truly afford it along with higher expenses it brings? – What makes more sense – paying off your mortgage earlier by throwing more money into it monthly or investing extra money and getting a higher return on it? – Is commuting 50 kilometers every day to a higher paying job worth it despite higher transportation costs? Just from talking to people and observing their decisions, I’ve noticed that most people don’t think their financial decisions through, no matter how big or small they are. Most people act on impulse, follow the herd, and don’t really pay attention to their financial picture. And this is the biggest mistake people make – not paying attention. Maybe all of us should become a bit financially nerdy – start paying attention to our expenses, weigh options against each other, and think of long-term repercussions of our actions. 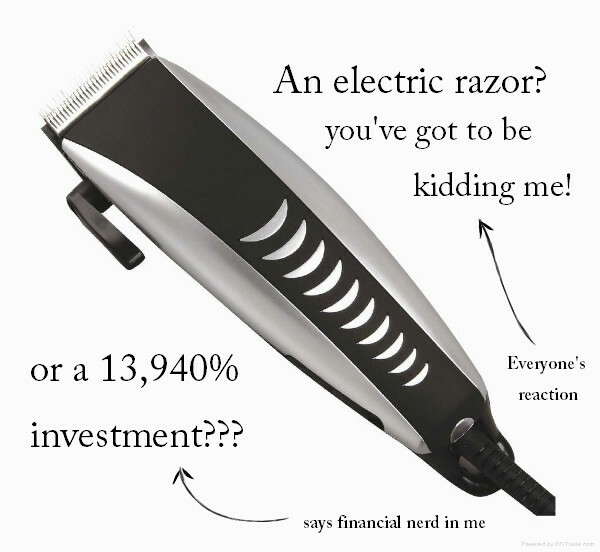 You might not want to calculate the return on investment of a simple hair trimmer like I did today or calculating amount of money lost on smoking, but just paying a bit more attention to your financial health will be beneficial to you and your family in the long run. 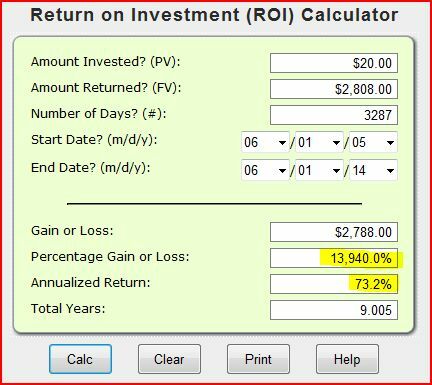 Do you calculate returns of your everyday “investments”? Posted on April 7, 2014 by Financial Underdog	in personal finance. Just like all life lessons, you have to learn financial lessons somehow. Life lessons can be taught by your parents if you’re open to them. They can also be learned in school if the school program includes financial basics for youth. Unfortunately, in my case I had to self-teach myself financial literacy through trial and error. This usually is accompanied by great financial pain. As I’ve explained before, I didn’t have a good starting position for myself in my life journey when it comes to financial literacy. Being an immigrant from another country where economy and money function in a completely different fashion, it was literally like being an alien from another planet (but no lightsaber). I didn’t have basic knowledge of personal finance when I’ve arrived. I didn’t know what one is supposed to do with money. Economy as a whole was a complete mystery to me. Unfortunately, my parents were in the exact same position so they couldn’t teach me Personal Finance 101. I was also too old for high school where they teach it. When it comes to personal finance, some of the concepts that are familiar to any average Canadian were in fact completely foreign to me. For example, I didn’t know how credit cards work and how much they can cost you if you don’t pay attention to your balance. I had no idea bank will lend you the money for just about anything as long as you pay it back with steep interest. Saving for the future retirement seemed unnatural since my grandparents back home were enjoying government provided pensions for life. All of a sudden, I had to learn all of it – and sometimes through great financial pain. As a young man of twenty something, living on my own and fresh to this beautiful country, I didn’t know how to handle money. More importantly, I didn’t know how to control what little money I had. Money was coming in, bills were coming out. It was a never ending cycle of debits and credits to my account with no rhyme or reason. My only limitation to spending money was my bank account. If I had money in my account on Friday night, I would go on spending it. If I didn’t have any money in my bank account, I would stay home. Same principle for all purchases, really. Basically, I would make my decisions on what I had at the time. As a consequence, sometimes my expenses would be much higher than my income. Then I discovered a new way to live financially. I’ve started to base my decisions off what I had coming in. If I had $2,000 coming on one particular month, I would map out how I would spend this money ahead of time without paying attention to my bank account. Two thousand dollars comes in, two thousand dollars get spent. Bank account money doesn’t get touched as it would mean spending more money than I have coming in – and that is unacceptable. People usually cringe when somebody mentions “budget” because budget means limits and boundaries. But if you think about it, budget just means putting together a plan on spending your money. It’s actually quite liberating. Once I’ve learned how to budget and changed my perspective on spending, I’ve started putting more thought into planning my everyday finances. Saving towards big purchases became a second nature to me as I’ve started automatically set saving goals for myself. Need a new laptop for school? Figure out how much you want to spend on it, how much time you need to save it, and how much you should be putting away monthly towards it. Now some of my paycheck is going towards the laptop – instead of me just checking my bank account to see if I can buy this laptop right away or even worse – borrowing money for it (more on this later). I didn’t learn budgeting overnight. Little by little, I figured out what works for me and what makes most sense. But if I could have learned about budgeting earlier, I bet me and my family would be further ahead in life right now. But hey, as long as we’ve learned it at some point. 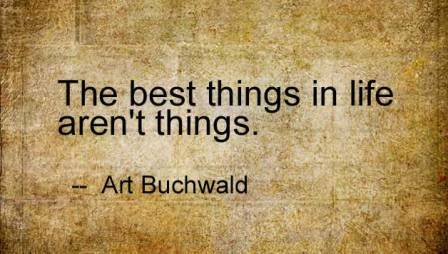 You don’t really need a lot of stuff in your life. Some items are quite necessary such as transportation, shelter, and basic clothes. But anything above your basic needs is not essential and spending money on acquiring more and more stuff can turn your happy existence into a vicious cycle of never-ending work and spending. Imagine yourself camping and sitting next to a fire. A few small logs can provide you with ample heat for the night. You don’t need to shove more and more logs into the fire; while big fire might be impressive, it doesn’t match your needs. On top of it, you’ll have to work very hard on controlling it and continuously running into the woods to get more firewood. Why bother? Same approach with money. You can make your life all about earning more and more money, and spending it all. Your 4,000 sq. feet house will be surrounded by beautiful landscaped land, German cars will sit in your 5-car garage, and you will spend 360 days at work while stressing over your financial situation and never seeing your family. I’ve learned that I prefer simple life (and I don’t mean that awful TV show with Paris Hilton). It doesn’t mean that I want me and my family to live like monks. But driving a used car with much lower expenses as opposed to leasing a new BMW can be quite beneficial as it gives me more money to invest, and lowers the stress by improving our financial situation. We can probably afford a bigger house for ourselves if we borrow as much as bank will give us. Still, we’ve decided against it because living in a nice condo meets all our needs. 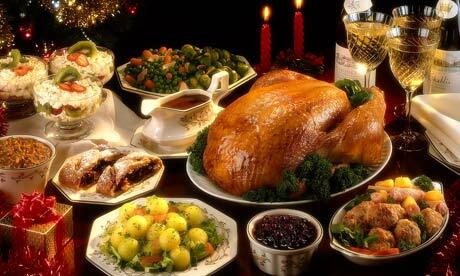 Sure a big house would be nice and would probably impress our friends – but big houses come with big problems and higher expenses, once again. 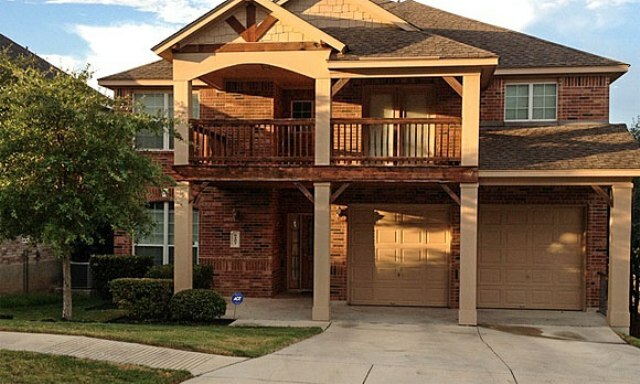 For example, we can easily repaint our little townhouse ourselves over one weekend. What if we lived in a 4,000 sq. feet house? Repainting it would probably require hiring professional painters and thus opening our wallet and saying goodbye to a considerable amount of money. Simple just makes more sense for me. It took me quite some time to understand the importance of investing. For this, I had to completely change the way I was thinking about investing. But what twenty something person really thinks about senior years? The prospect of buying something cool right now outshines any future needs. Especially when you’re talking about your paycheck – after all, we all work very hard for our money and want to enjoy the paycheck right away. My senior years are so far ahead of me that saving for them just didn’t make sense. Let me in my 20’s enjoy life a little bit, perhaps me in my 30’s or even me in my 40’s will take care of me in my senior years! For now, New Sony Playstation, here I come! For some reason, this way of thinking about retirement really changed my perspective about investing. Imagine being able to cover all your living expenses with your investment income instead of working to pay your expenses when you’re old and retired. If you live a simple life, you don’t really need a lot of money to retire – a moderate stream of income will cover all your expenses without waiting till you’re in your 70’s to retire. So now I think of investing as building that addition stream of income. Saving money towards it feels meaningful and investing became one of our primary goals. The concept of borrowing money from a financial institution was quite foreign to me when I arrived in Canada. 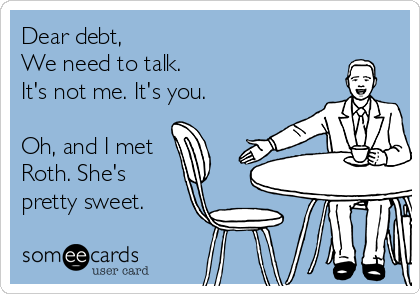 Up until then the only borrowing I’ve done was through friends – very small sums of course. My parents would sometimes borrow money from their friends when our funds run out at the end of the month to buy groceries. But Canadian borrowing is much different. Here you can borrow money for pretty much anything. School classes, everyday purchases, vehicles, clothes, housing, and even home pets. 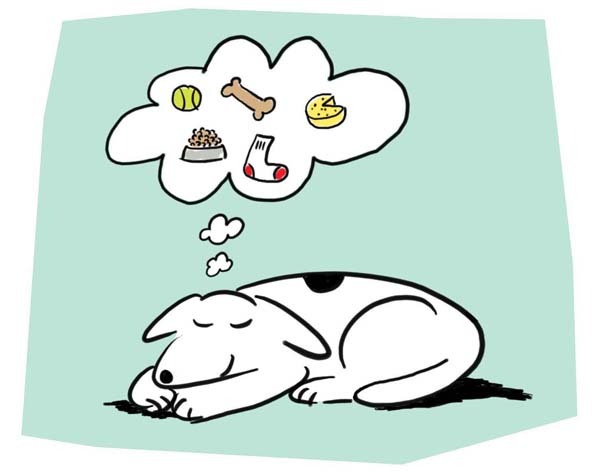 Yup, apparently some pet stores will lend you money to buy a puppy. What did it all mean to me back then? FREE MONEY! Everybody wants to give me money so I can buy stuff, how awesome is this? I can buy stuff right away, and pay it back later once I make money by working! I’ve borrowed money for night school – and boy, was it easy. First day on campus, a major bank was giving out credit cards – and I’ve signed up right away. Then I borrowed money on it to buy everyday things – as long as I could afford minimal payments on it. My paychecks (already pretty low) were spoken for by the time they hit my pocket. Fairly soon, I’ve started falling behind. Soon after, I’ve learned what it’s like to receive a phone call from a collection agency. Just like the proverbial hot stove, I’ve burned myself on borrowing money a few times before I’ve learned my lesson – never borrow money. If you have to borrow money, it means you’re broke and don’t need whatever you’re about to buy. If you can’t pay for something in cash, you can’t afford it, so move on. Major financial institutions make serious money by lending it to people, and by borrowing money you’re willingly handing over your cash to them just to enjoy something right away. You don’t need to hand over your cash to a bank just so you can buy a puppy – just save money, and buy it yourself. Remember that when you borrow money you have to pay it back. If you want to buy something for $100 but choose to borrow it, you have to pay back the original $100 PLUS $20 in interest. Interest becomes an additional expense to you and a nice source of profit for your bank. Don’t you have better use for your $20? I don’t know about you, but I don’t like my bank enough to give them money for nothing. Housing would probably be the only exception to this rule. Posted on February 24, 2014 by Financial Underdog	in personal finance. Just recently, I’ve celebrated five years of being a non-smoker. Five years ago, I’ve decided to quit this nasty habit, and puffed away my last cigarette. It wasn’t easy, but after some serious thinking about smoking and its benefits (none), amount of money I was spending on it, and countless other benefits of quitting smoking – I’ve made my choice and threw away my last pack of cigarettes along with my lighter. As I might have mentioned before, I grew up overseas in Russian Siberia. Unfortunately, smoking is much more prominent there as it is in Canada, especially among youth. Just to give you an idea, according to Wikipedia people smoke 3.5 times more as they do here in Canada. Good news for Canada is that smoking rates have been plunging steadily as more young people don’t even try smoking and don’t get hooked on cigarettes. Unfortunately, I was one of the kids who picked up smoking somewhere in high school. Since almost everybody smokes in Russia (at least this is what it looks like), smoking seems fairly normal, and hence it’s one of those things kids want to try. First it was few smokes in between classes (mostly to look cool). Then it became a social habit of smoking while hanging out with my friends. After becoming an adult, it became an everyday habit. I just had to have a smoke in the morning with my coffee, one at the end of the day “to relax” (which by the way is a complete lie), and countless others in between. By the time I was in my mid-twenties, I was smoking roughly two packs a week. It’s pretty light by most smokers’ standards, but nonetheless it was still a nasty habit, and it was starting to affect my health. I’ve noticed regular headaches that would always creep up on me towards the end of the day. My blood pressure was above the norm. Sometimes, I had troubles sleeping and would venture outside for a smoke in the middle of the night. On top of everything, I almost always lacked energy and felt depressed. Ask any smoker, they have probably experienced these exact symptoms. But it all changed as soon as I quit smoking. Since I mostly ramble about financial matters, let’s take a look at how much money I have wasted by smoking. Let’s say I’ve been regularly smoking two packs a week for five years. Presently, the cost of cigarettes is around $9.00/pack. What does it mean? 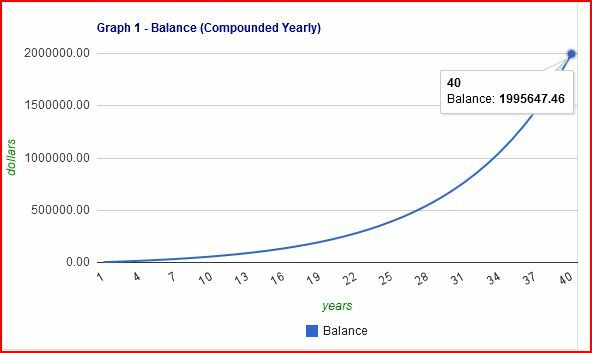 It means that by smoking 2 packs/week for only five years, I’ve puffed away $325,000.34 that I would have had in 40 years if I simply invested that $5,000. Not exactly a retirement, but a very good chunk of it, don’t you agree? While I wasn’t spending a lot of money on cigarettes, quitting smoking still benefited us financially as it gave us more cash in our pockets without doing more work. It was like getting a small raise without asking for one. More money means we can invest more money towards our goals, and hopefully reach the proverbial financial independence sooner. At the end of the day, quitting smoking is like finding free money every week. 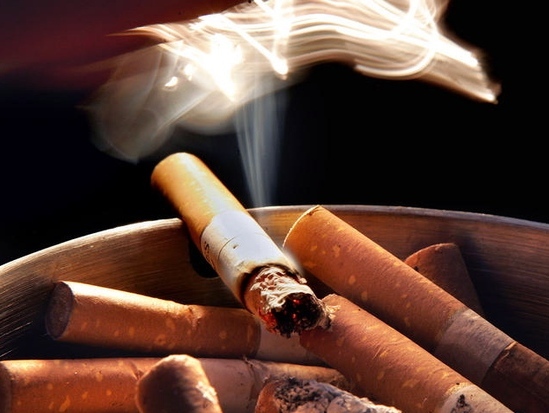 Aside from financial benefits of quitting smoking, there are myriad of others. 5. I don’t have to stand outside in exile while everybody is enjoying a party inside. 9. I save 5 minutes a day now by NOT coughing my lungs out every morning. To be honest, I feel like nobody has the right to complain about not having enough money if they still smoke. You can give yourself an instant raise – if you quit this nasty habit. You’ll have more month left at the end of your money, and you can take care of your retirement by simply redirecting your existing funds. Besides money, think of all the other benefits of quitting smoking. By quitting, you will improve your quality of life tremendously at no cost to you. This is a great investment right in front of you! Do you smoke? What are you thoughts on this? Please leave me a message below. Posted on February 10, 2014 by Financial Underdog	in silly. Do Olympic athletes earn a lot of money? With 2014 Olympics in full swing, everybody is talking about sports. While I’m not exactly an athletic person, I’ve always admired people who dedicate themselves to sports; especially if they get to the level of representing their country on the international scale – such as World championships and Olympic events. At the same time being a huge financial nerd, I’ve always wondered if being an athlete pays anything. This is not exactly a regular job, isn’t it? You don’t work eight to five, you have to train a lot, you get to fly around the world, and quite often you’re asked to pee in a cup for drug testing. But do you make the big bucks? What do Olympic athletes earn? 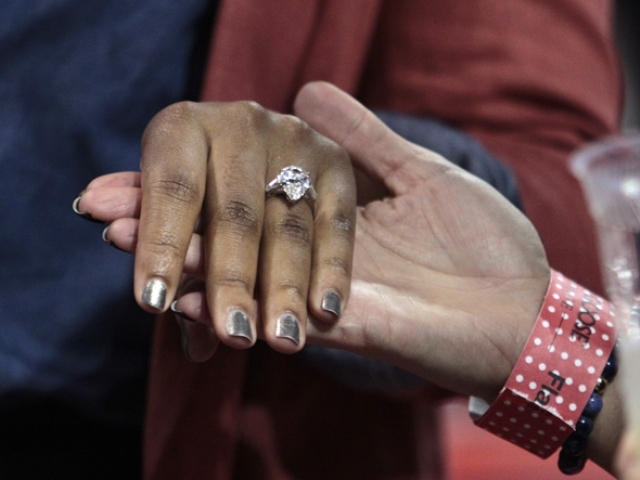 Just being an Olympic athlete doesn’t actually make you a lot of money. Olympic athletes do earn a small stipend ($200-$2,000), and many of your expenses are reimbursed such as travel, hotels, and training camps. Your clothes will also be provided by the official sponsor – Hudson Bay Company in Canada and Nike in United States. Also, being an athlete with higher risk of injury, you are provided a special health insurance that covers sport-related risks and injuries. So, at first glance being an Olympic athlete isn’t the best way to get rich quick. In fact, you might want to hold on to your day job in order to pay the bills. Being an athlete is far from being cheap as you have to invest a lot of time into training, eat properly, and buy specialized equipment. But there’s more money in sports! In 2007 Canadian government announced it will be rewarding Canadian athletes financially for earning medals at high-level events such as World championships and Olympic Games. Just for that reason Athlete Excellence Fund (AEF) has been established. Funding comes from government (federal and provincial) and corporate sponsors. In 2012 over two million dollars went into Athlete Excellence Fund to support training, research, and athletes’ compensation. $5,000 – Top 5 position in World Championship. – Azerbaijan (I’ll give you $5 if you know where this country is located the prize has been claimed by one of my awesome readers!) will pay $510,000 to their athletes if they bring home gold medal from Olympic Games in Sochi. Out of four athletes from Azerbaijan (have you found it yet? 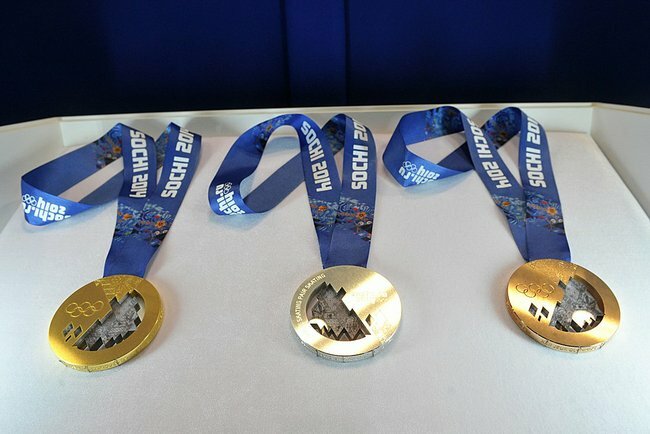 ), none are expected to bring any medals though. – Singapore was ready to pay $800,000 for gold medals in London Olympic Games. No gold medals were earned by their athletes that year. – In United States, government pays $25,000 to gold winners, $15,000 to those who earn silver, and $10,000 for bronze. – On top of monetary compensation, some countries offer luxury cars, apartments, and even supply of food to those who bring home medals. – British Olympic athletes earn absolutely nothing for their medals, but winning has other benefits. From the moment any take gold medal, Royal Mail will begin designing a stamp bearing their image and deliver them to 500 post offices for sale the following day! Where the big money is! But the main source of income for athletes isn’t financial rewards for medals. 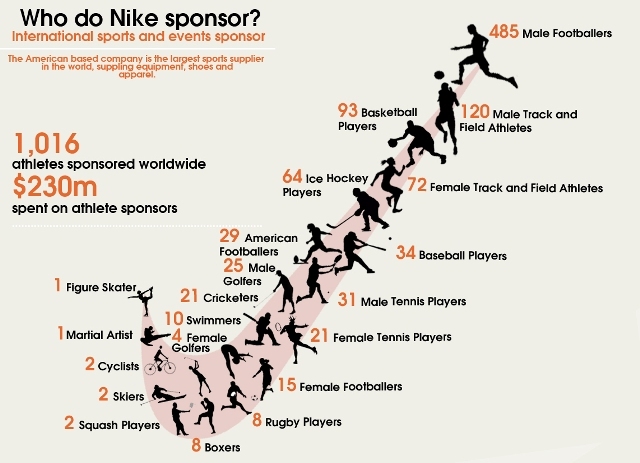 Most of the money Olympic athletes earn come from corporate sponsorships. Larger companies such as Nike, Nokia, Adidas, Gatorade, and many others want consumers to associate their products with high performing athletes. To do this, they sponsor selected athletes and provide them with steady stream of income sometimes reaching millions of dollars. In return, sponsored athletes wear their brands at sporting events, appear on their advertising, and participate in corporate events. Amount of money Olympic athletes earn from sponsorships can reach stratosphere but you must understand far from everybody can earn this. Most corporate sponsorships are much more modest. 1. Usain Bolt (Jamaica) – $20,000,000. Sponsors: Puma ($9m p.a), Visa, Gatorade, Nissan, Hublot, Virgin Media. 2. Kim Yuna (South Korea). – $9,000,000. Sponsors: Kookmin Bank, Nike, Korean Air, Hyundai. 3. Michael Phelps (USA). – $7,000,000. Sponsors: Speedo, Visa, Omega, and Under Armour.